If you do what you love, you'll never work a day. Right? Unfortunately, there are very few jobs that involve eating pizza while playing Skyrim. If you're a regular reader of this little blog—or if you've spent the past few days at SXSW Interactive—there's a good chance you love tech. But can you make it into a career? Maybe. Here are a few hints to prepare yourself to land a choice gig in tech utopia. Google hired over 7,000 people in 2011. But they don't bring just anybody aboard. New recruits are the results of a very careful, specific, and thorough—you guessed it—search. Be passionate. Not just about your job, but about other aspects of your life. They know you like computers. It's your penchant for deep sea sport fishing that'll reel them in. Be flexible. The company wants people who are able to quickly adapt to new jobs and duties. If you know more than one programing language, tell them. Showcase all relevant knowledge, not just the exact skills needed for the position. Be comfortable. A brilliant engineer might get away with a tee shirt and jeans. The marketing department's next dynamo should show up in a smart suit. Either way, dress to impress. Be comfortable, but not sloppy. Don't make assumptions. Avoid going into the interview thinking you know the job's duties—whether that's based on its title, the details in the listing, or a similar position you've previously held. Even if you're right, you could pigeonhole yourself into a narrow role with limited growth opportunities. See "Be flexible," above. Don't expect a brain teaser. In years past, Google sometimes recruited employees by challenging them with incredibly difficult mathematics. Today, the tryout just examines how an employee would perform the day-to-day work—a software engineer should be ready to map out how a program could be structured. They want to see your problem solving skills at work. If you truly love the art of video games, creating video games could be a dream come true. Ubisoft's Global Talent Acquisition Manager, Diane Peyredieu du Charlat, shared her tips on working for the makers of Assasin's Creed. Get your stuff online. If you have a portfolio of art or apps, post it online so it can be easily accessed by Ubisoft (and the other companies you're approaching). Love the work. Show some enthusiasm for video games. Demonstrating an affinity for the media definitely helps you qualify for the position. Show your creativity. Can you share an app you have in development? Do you sketch environmental details you'd bring to a game you could design? Show off your work. Relevant, tasteful extra credit work could help you qualify for the job. Network in the community. You can't work in a vacuum. Meet people with professional experience in the field. Seek out any receptive Ubisoft employees (current or former) to help prepare for the interview. An insider's view of the company—especially from someone that also knows your own professional capabilities—can be the most realistic perspective you'll get on whether the job is right for you. Do your research. The process of reaching out to colleagues will give you a glimpse of the industry, Ubisoft's place in it, and how its employees contribute. This helps you, as an interviewee, prepare to describe the opportunities and responsibilities you could tackle in your new role. Regarding points two and three above, don't go overboard. Sure, you love video games. But keep it reasonable—not even Ubisoft wants a broadsword-wielding freak in the office. Mule is a digital design firm based in San Francisco. Yes, the group make websites, but it also helps clients effectively brand themselves, create a user interface, and concoct a social media strategy. Mule's work includes AllThingsD, CNET, and GigaOm. We spoke with Erika Hall about what the company looks for in new designers. Network: The design community it tightly knit. Approach professionals already working in the field, and ask if you can take some time to discuss their careers. Make a good impression, and the conversation will circle back to your own ambitions. You could potentially, in a way that doesn't seem desperate at all, convince a powerful new contact to help you get a gig. Educate yourself. Become an amateur expert on the state of the craft and the state of the industry. Find examples of the type of work you'd like to do. Once you do get an interview, you'll already be knowledgeable about the place's style and the people you could work with. Communicate clearly. Being a visual thinker is not an excuse to be inarticulate. The profession is about identifying problems and explaining solutions as much as it is about the actual design work. A literal-minded client requires a plainspoken translation of the design's goals. Make a match. Arrange a personal introduction from a mutual colleague. Endorsements can trump anything—work quality, experience, or education. Never underestimate nepotism. The first person. Experienced professionals love talking about themselves. Approach an established bigwig under those auspices. Forget about the fact that your goal is to advance your career. That will come up on its own once the conversation starts. Unsolicited work. Receiving a CD in the mail or a PDF attachment elicits two bad feelings. 1) Annoyance at having to deal with it 2) Guilt about throwing it away. Just have it easily accessible online, so a potentially interested resource can look it up, see your brilliance, and call you in. Chops. Whether self-taught or formally educated, engineers at Facebook need to have a really strong technical foundation to build reliable software at scale. Competence. The people who succeed will do whatever it takes to get high-quality products out the door as quickly as possible. Team spirit. Facebook sees itself as a benevolent force to connect people using technology. Do you believe that ethos? Are you excited to promote it? Come on in! Cynicism. Facebook is not a means to exploit members for their value to advertisers. Not in this interview, it's not. They are the kings of the chip market. Intel processors are a foundation of modern computing. Cindi Harper, Intel's Greater America's Staffing Manager told me what Intel is looking for in potential employees. Make Friends. Get to know Intel employees and others in the industry. The primary channel into Intel is via referrals. So get out there and make some contacts in the business. Join the group. The Intel Student Lounge LinkedIn group is a great resource to networking and seeing what positions are available. It can also help you research Intel and follow news, helping you develop into the passionate employee they seek. Be ready any time. If a recruiter at a job fair likes your resume, be prepared for an on-the-spot interview. You might even get an offer letter. It happens! Ignorance. Keep track of what your contacts inside the company are discussing. Stay aware of the going ons inside the company and use that information to your advantage. Lengthy applications. You have 10 seconds to wow a recruiter. Use a short resume loaded with the buzzwords that are appropriate for the position. Desperation. Don't apply for every position in the company. Know what you're looking for. Intel wants directed passion, not someone out for any job available. Disrespect. Every first impression matters. The recruiter may lose importance once you've been hired. But until you get a call back, first person you speak to is the most significant person at the company. The ultimate tech job in San Francisco? It's the one in which you write about tech jobs. 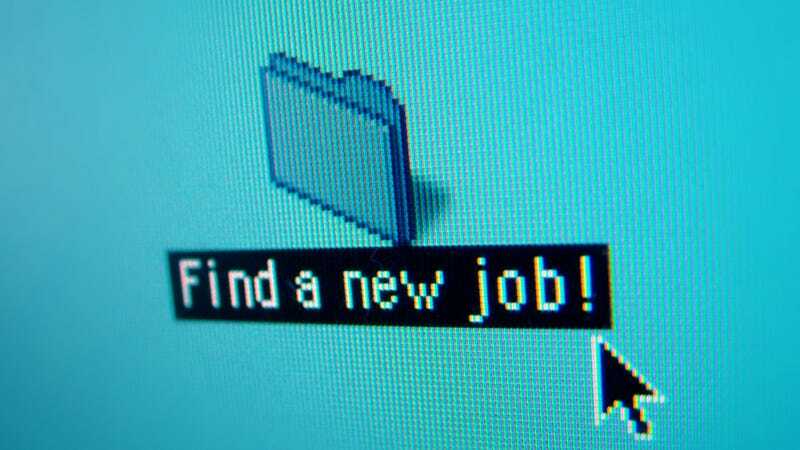 You may even, someday, write an article about getting a tech job. The circle of life. I spoke with Joanna Pearlstein, organizer of the Wired Editorial Fellowship, about what the magazine and site look for in potential journalists. Show more than tell. If you want to be a reporter, show off your reporting skills. Pitch stories you imagine running in particular magazine departments. Point to recent issues to explain how your ideas fit the editorial direction. Refer to specific stories or posts online. Choose examples written by the person conducting the interview. Be a professional. Bring a copy of your resume and cover letter, show up on time, and put your best foot forward. Make sure you're remembered for that heap of great ideas. You can't have too many ideas. Reinvention. You are not going to alter the magazine's editorial mission, however misguided and backwards you perceive it to be. You might get a shot at that later. To get in the door, though, you just need to demonstrate that you understand what they do now.